We believe in embracing a healthy, happy life through positive nutrition. 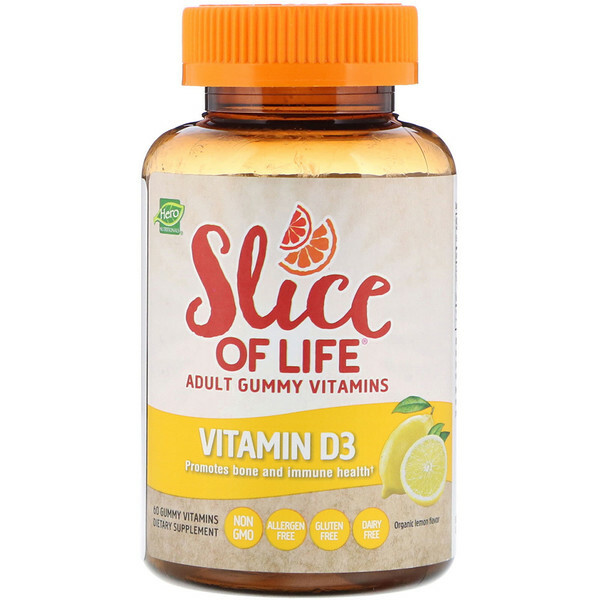 That's why in 1997 we invented Yummi Bears, the Original Gummy Vitamin, and in 2007, Slice of Life gummy vitamins formulated for adults. We are passionate about providing essential nutrients in delightfully yummi, fun-to-take gummies for the whole family, that are made with natural ingredients and lots of love. 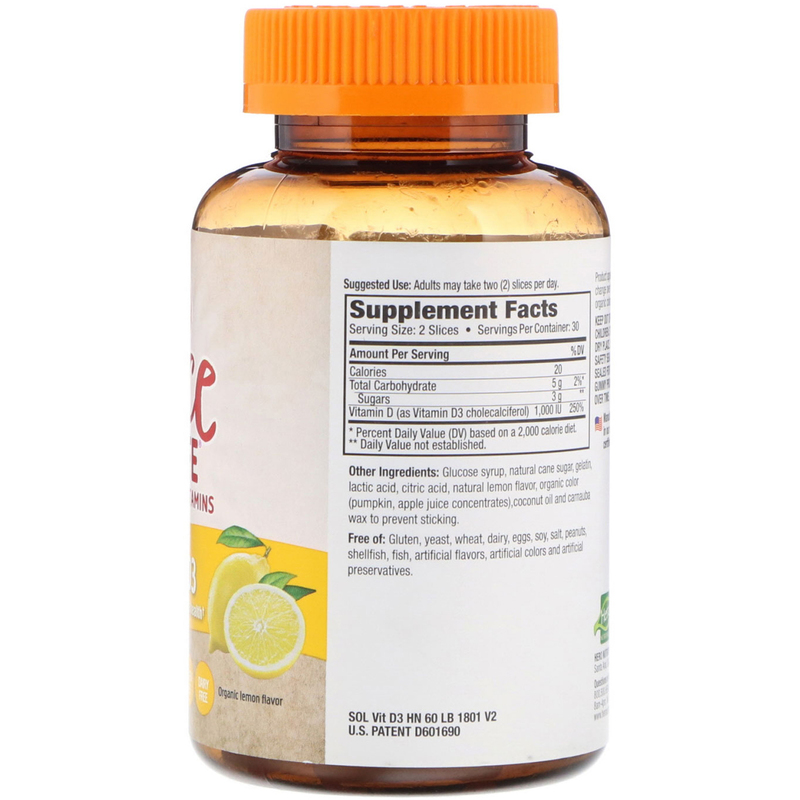 Glucose syrup, natural cane sugar, gelatin, lactic acid, citric acid, natural lemon flavor, organic color (pumpkin, apple juice concentrates), coconut oil and carnauba wax to prevent sticking. Product appearance may change over time due to natural organic colors. This does not alter potency of the product.